Beyond strategy, that’s what was talked about in Madison this week. It’s a rivalry series that began in 1890. But Paul Chryst has taken a much different approach in sharing this history lesson than when he was a Badger player. It’s why the 13 Badger seniors would take the rest of the team through an “Axe presentation” during game week about the history of the series. And it’s why each of the seniors take a turn to talk about what this game means to them personally. 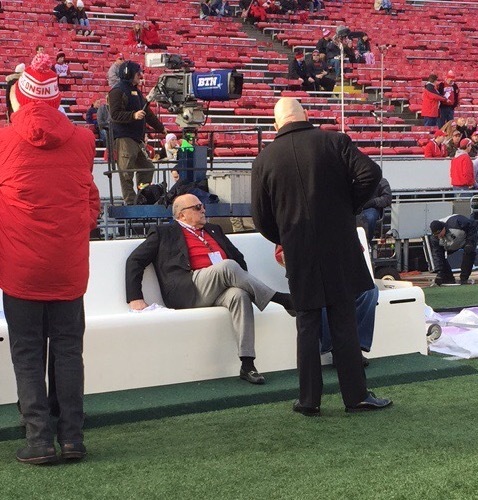 Immediately after Kansas State beat Kansas in an early game on Saturday, former Minnesota Head Coach Jerry Kill was hopping in his car to get to his TV and his couch. Kill told me over the phone that Claeys “is one of the smartest people he has ever met,” adding he was always the one Kill went to in their 20-plus years working together for an opinion, and it could be about almost anything. “I’m proud as heck of him and the chance he has for this team to win nine games,” Kill said. 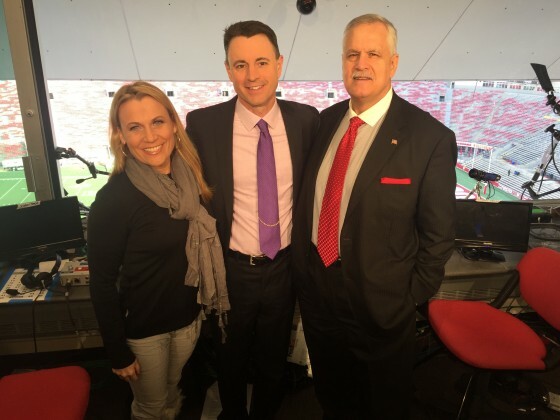 “Win and win” was the good strategy Paul Chryst said to me in the pregame for the Badgers final two games to help Wisconsin’s chances to get into the CFP. “We can’t control anything but these last two games,” he added. Much like the design of the NCAA selection committee, the CFP has the approach that when the topic of a committee member’s school comes up in discussion, that committee member is not involved. Since 2011, this is the Badgers 4th conference championship. More impressively? It has been done under three different head coaches. Show me a program that has done THAT. Bret Bielema, Gary Andersen and Paul Chryst … all hired by Alvarez. “’Fit’ is what you look for,” said the Wisconsin AD. 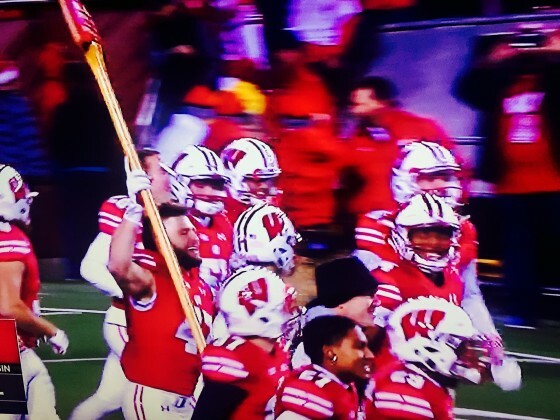 Vince Biegel was one of the 13 seniors honored Saturday. His father, Rocky, was enjoying every moment. Rocky coached his son in the early years, through flag football in first-and-second grades. He was also there for him through the beginning stages of tackle football through third-and-fourth grades. When August comes around, and I start seriously thinking about college football again, the end of the regular season seems as far away as a senior day to a freshman. But it has flown by once again. Come and gone like an open field sprint by Saquon Barkley. It’s who you count on seeing and sharing time with, sometimes on a Thursday through Sunday amount of time with, depending on the travel schedule. Viewers can see Kevin Kugler, Matt Millen and myself on TV, and I had a blast working with them both. But what you don’t see is the dynamics of the truck. The constant split-second decisions that need to made during a football game. Decisions that are done hundreds of times in three hours. What you don’t see is the crew setting up in the rain on a Friday, or taking down cables and wires and cameras until 2 or 3 AM because we just did a night game. The people you see in this photo are honestly some of the best at their respective roles. They are not only good at their jobs, but they make 13 weeks together … fun. 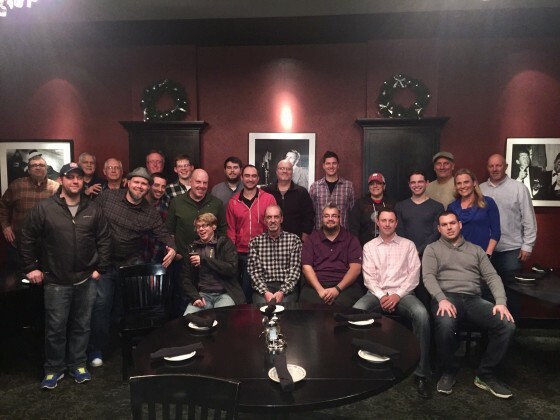 As I sign off this football blog for the final time in the regular season, I say thank you to THEM. And thank you to YOU … for following.